From 06th December to 21st December 2016, Ms. Tessie Gamber - Auditor of the American Association for Laboratory Accreditation (A2LA) reassessed the accreditation of Laboratories in Ha Noi and Can Tho, and first assessed the accreditation for Laboratory in Ho Chi Minh City under the scope of ISO/IEC 17025:2005. 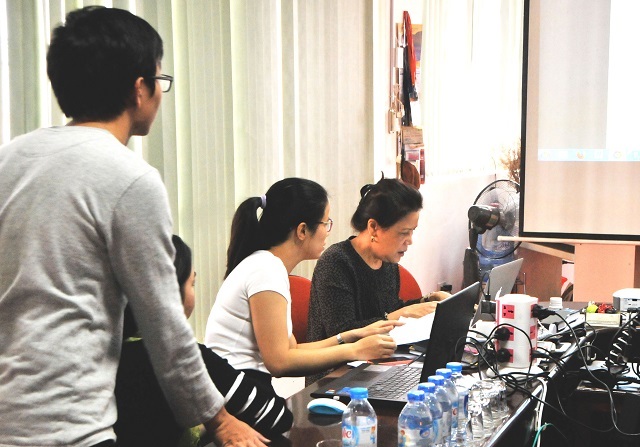 17th Dec - 21th Dec 2016: Accreditation reassessment was performed at Testing Laboratory in Ho Chi Minh City. 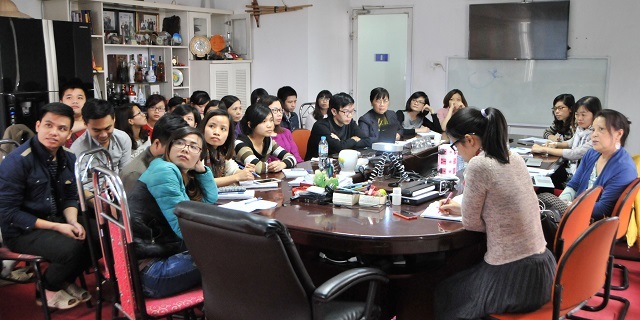 Entry briefing at Laboratory in Hanoi. In the assessments, after the entry briefing, announcement of the scope and agreement of A2LA assessment program with the Company Executives, Director of Testing, Testing Quality Assurance Department and all officers/staff, Mrs. Tessi Gamber assessed the procedures, documents and forms in the quality management system which is being applied by VinaCert’s Laboratories in accordance with ISO/IEC 17025. In the accreditation reassessment process, along with tracing the records of sample collection and management process, Mrs. Tessi Gamber also assessed the Chemistry Division and Microbiology Division technicians’ demonstrations of tests in sample analysis. Along with the requirements to perform testing methods for food, animal feed and water quality, Mrs. Tessi Gamber also directly interviewed the technicians on the related knowledge like criteria, testing methods, limits of findings, procedure, etc. During the assessment process for technicians’ demonstrations of tests, Mrs. Tessi Gamber always analyzed and explained clearly, as well as provided suggestions for technicians to perform analytical methods properly and ensure accurate and reliable results. 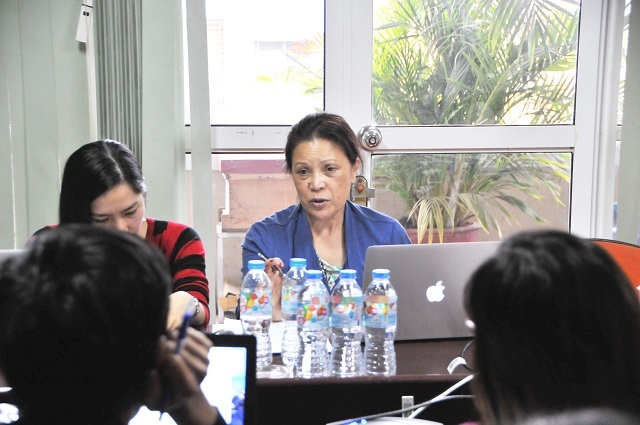 At the end of the reassessments under the registered scope of Laboratories in Ha Noi and Can Tho, Mrs. Tessi Gamber provided some non-conformances and recommended VinaCert to improve and apply corrective actions. 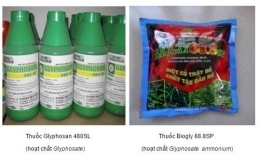 “Compared with the accreditation assessments and monitoring assessment done previously at the Laboratories in Ha Noi and Can Tho, the technical competence of the technicians and the competence in organizing testing activities and record control/tracing process of VinaCert have been improved significantly, which meets the basic requirements of ISO/IEC 17025: 2005", Mrs. Tessi Gamber commended. 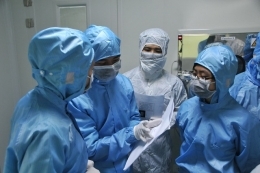 27 targets in Chemistry and 28 targets in Microbiology have been reassessed by A2LA for VinaCert’s Laboratory in Hanoi. 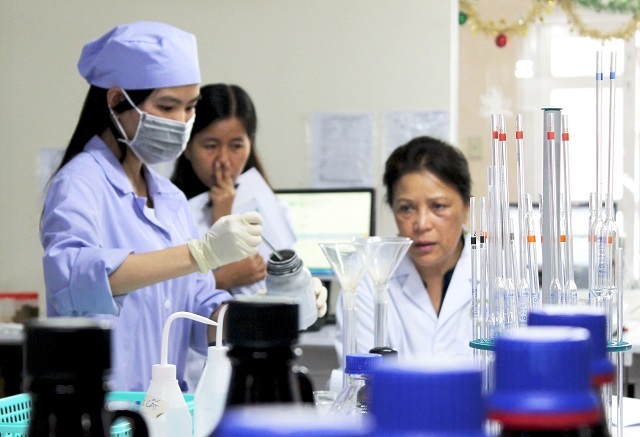 39 targets in Chemistry and 20 targets Microbiology have been reassessed by A2LA for VinaCert’s Laboratory in Can Tho. 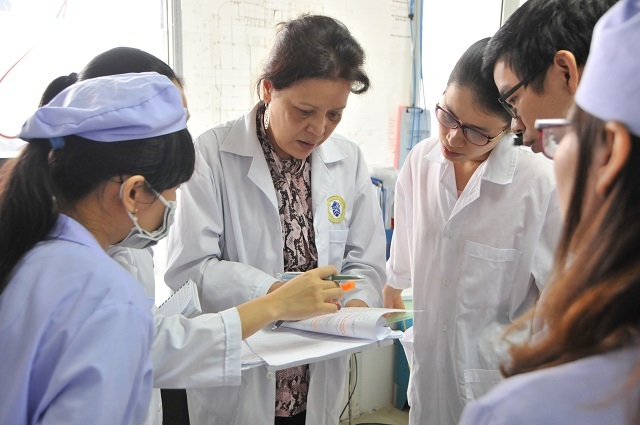 It was the first accreditation assessment for VinaCert ‘s Laboratory in Ho Chi Minh City, and 24 targets in Chemistry and 6 targets in Microbiology have been assessed for accreditation. 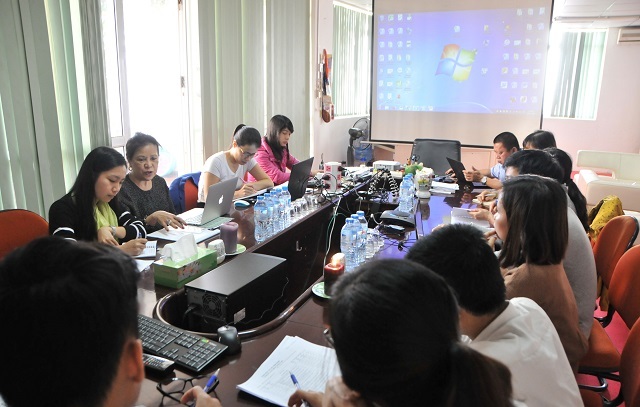 Along with the completion of accreditation reassessment at Laboratories in Hanoi, Can Tho and the first accreditation assessment for Laboratory in Ho Chi Minh City, VinaCert officially announced the establishment of Laboratory in Ho Chi Minh City on 22nd December 2016. 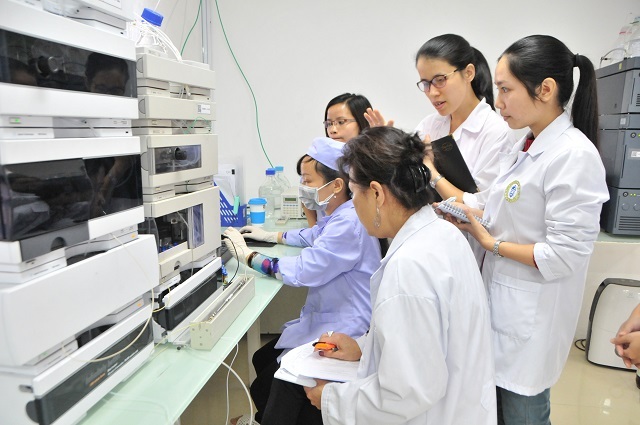 VinaCert is proud to be the first and only organization of Vietnam which has a Testing Laboratory system in Hanoi, Ho Chi Minh city and Can Tho, and is accredited by the American Association of Laboratory Accreditation (A2LA) to be adequately competent in accordance with the international standard ISO/IEC 17025:2005 - General requirements for the competence of testing and calibration laboratory in providing testing services for products quality. Laboratories must meet the requirements of ISO/IEC 17025 if they want to prove that the laboratories are applying a quality management system, have technical competence and can provide reliable and technically valuable testing results or calibration. An organization which has achieved the recognition of A2LA will continuously improve the technical competence and laboratories management, ensure the accuracy and reliability of analysis and testing results. 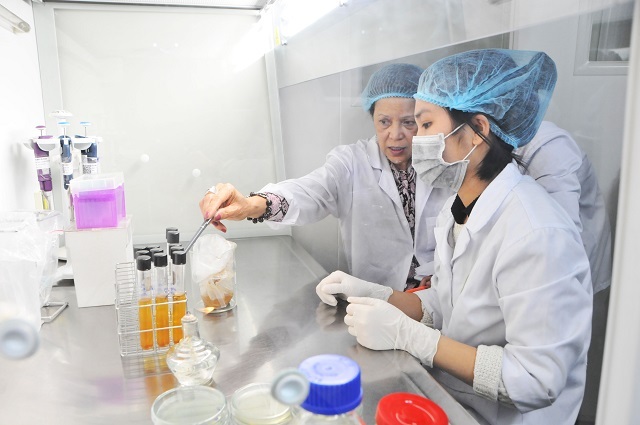 At the same time, the accreditation and mutual recognition between laboratories accredited by A2LA in Vietnam and international laboratories is a crucial factor that helps customers reduce the cost of testing and increase business competitiveness.